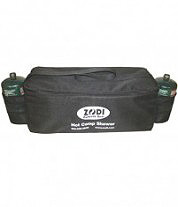 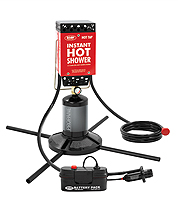 The Zodi™ Propane Base conveniently hold your Zodi™ Single Burner Propane Showers and other propane products. 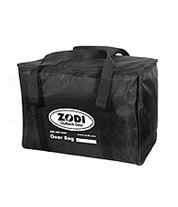 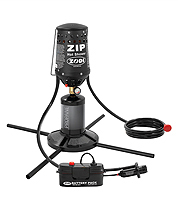 The Zodi Propane Base features extra wide stabilizing legs and stakes to prevent your propane products from tipping over. 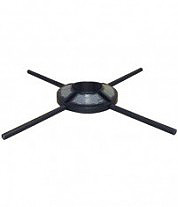 Just snap in the 4 base stabilizing legs, insert stakes in stake holes and place your Zodi™ product (with the propane tank connected) into the base. 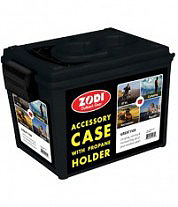 Ideal for other non-Zodi propane accessories that use only one 16.4 oz propane tank.